I love the random holidays - they are my favorite and April 7th is National Beer Day. I love cookies and I love beer, so it seemed completely natural to make decorated cookies that look like beer bottles. My husband's favorite commercial was the Dos Equis most interesting man and he was so sad when that role was retired. I thought it would be fun to make those bottles though - so pretty with their emerald green. The first thing you will need to do is flood the bottom and top of the beer bottle cookie in electric green. Allow the cookies to dry in a dehydrator for 10 minutes at 90 degrees. (Optional) Once the green icing has dried a bit, airbrush the sides with Americolor green pearl sheen. If you don't have an airbrush machine, you can leave this step out, it's just a fun way to add a bit of dimension. 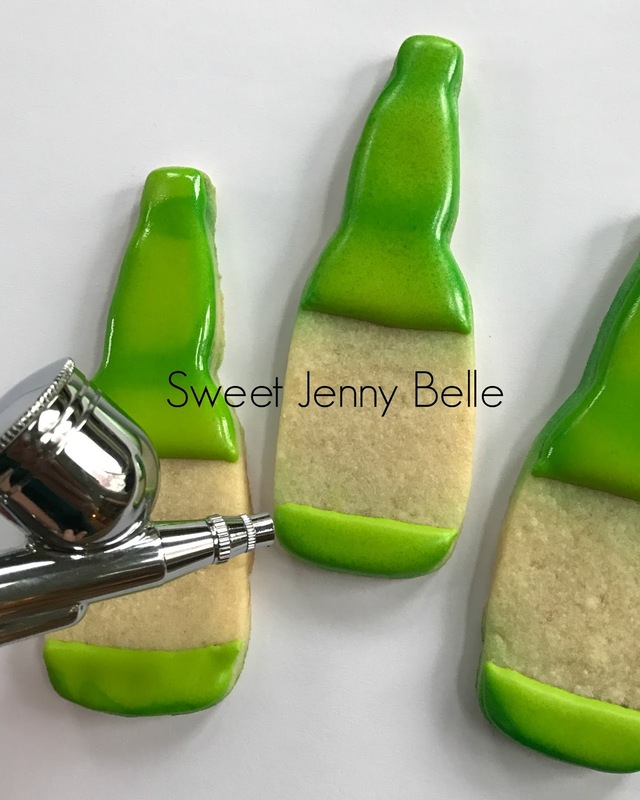 Next flood an oval in the center of the bottle label and the smaller label on top with ivory icing. Allow cookies to dry in the dehydrator again for another 5-10 minutes at 90 degrees. 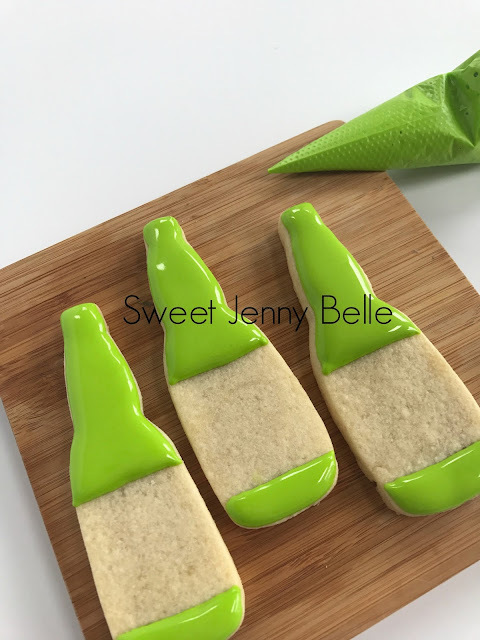 Add a dark green bottle cap with the forest green icing. Then outline the beer bottle head label and flood the remaining area on the body. You can choose to dry again or move forward with the label. 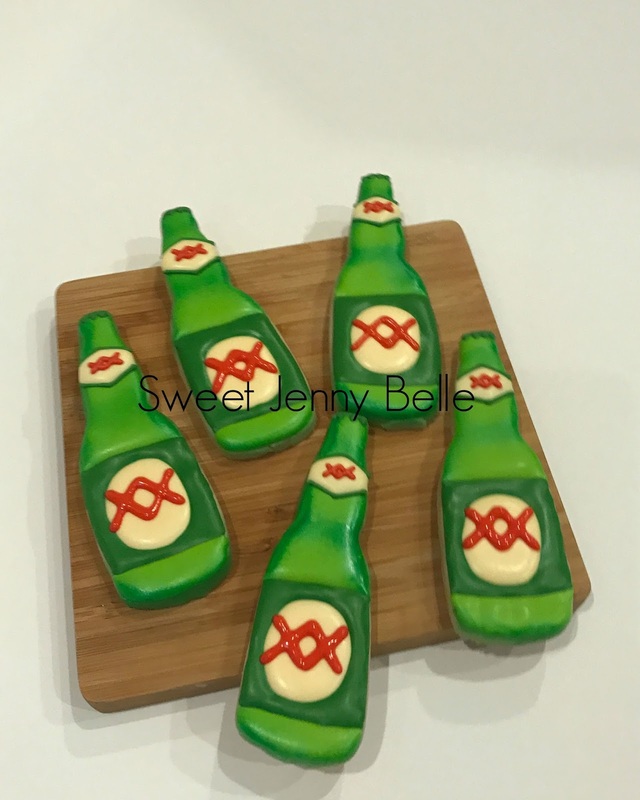 Complete the look of the Dos Equis beer bottle cookies with adding a couple of double red X's on the labels. 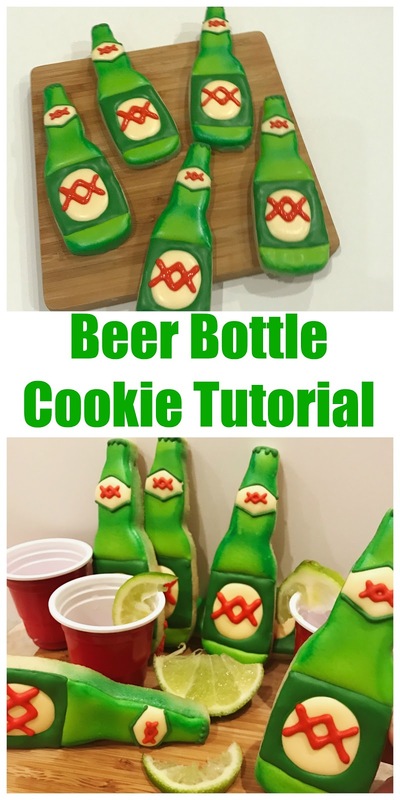 If you are making these for someone in particular, you could personalize the label with their name instead. Happy National Beer Day! May your day be short and your cups be full.. and lots of yummy cookies of course too. 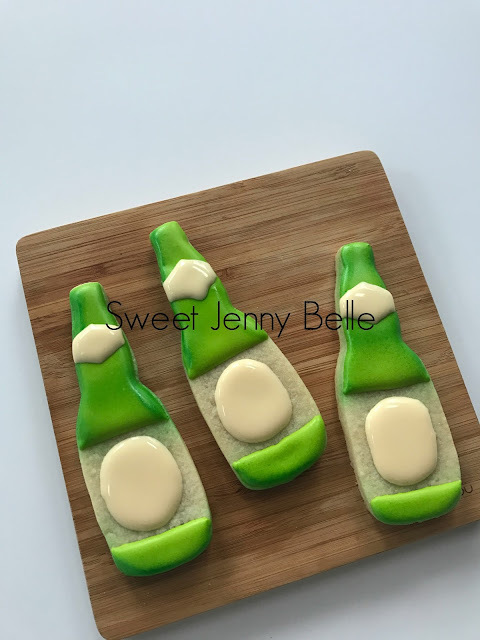 Are you looking for my royal icing recipe? You can find it here. 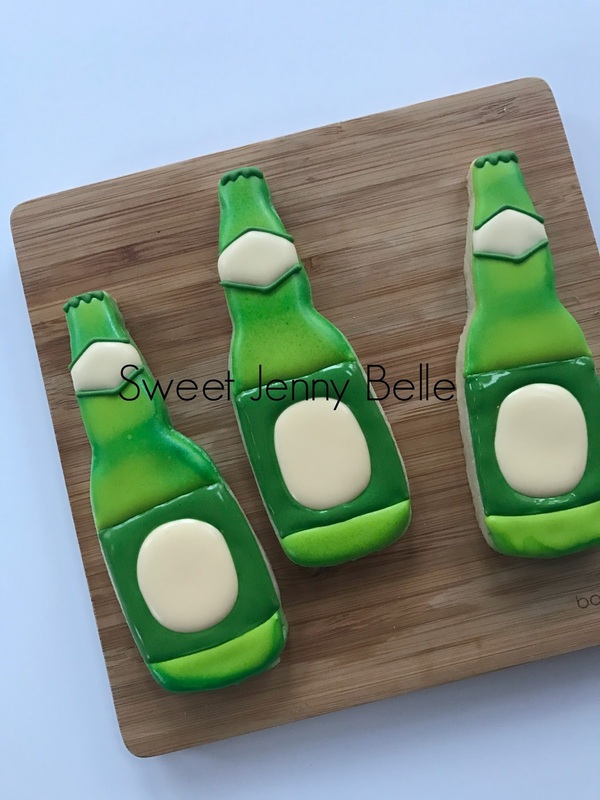 Want to see some Coor's Light style beer cookies? Jump over here and you can see the Western set I created a few years ago.